On 23rd of January, Joth Hunt from Planetshakers shared his experience as a musician for Planetshakers, in the Planetshakers Awakening Conference in DUMC. A gifted musician, Joth started playing the keyboard when he was seven years old, in addition to the drums, guitar, bass, and saxophone. He made his first record at 13 years old. Today, Joth is a singer and song composer for Planetshakers. He aspires to produce first-class and world-class worship songs that are better than secular music. People are attracted to passion. Hence, it’s no wonder the attendees of the Planetshakers Awakening Conference were attracted to the passion Joth had as a musician for the Lord. He explained that musicians carry a heavy responsibility to carry God’s anointing onstage, well. While the world aggrandizes someone onstage, we are called to not conform to the patterns of this world (Rom 12:2) but to follow the Ways of our Father in Heaven. According to Joth, our purpose as musicians onstage is to bring glory to God, not ourselves. We are called to usher people into a breakthroughs! We are called to be musicianaries to sow seeds of faith with music—music, which transcends culture, language, race, and all borders existing on earth! That is what God has called musicians to be. Planetshakers believe in declaring their praise and worship unabashedly to the Lord in joyful noises. In fact, the Bible has several parts with God’s people making a joyful song to the Lord, far from quietly contemplating His Goodness. Hence, like how the angels in Heaven sing, “Holy! Holy! Holy!” we want to evoke an atmosphere of celebration and passion. We want people to enter the church and feel the presence of God hanging in the atmosphere. And more than skills, a good musician for the Lord is a musician after His heart. A good musician only has one purpose, and that is to wholeheartedly worship and glorify the Lord. When God sees the purity of our heart, He will pour His anointing on us, so that we can glorify His name and not ourselves. Hence, be the best musician you can be to glorify the Lord. In fact, God is the best musician in the world since He is the one who created music. Joth shared that the church should be the one birthing forth music that would inspire the world and not the other way round. Joth shared that the Planetshakers team would groom the new member until he or she is able to perform at the Planetshakers’ established standard of excellence. The new member will first perform in a less-pressured environment with fewer audiences (i.e. youth meetings), before performing in higher-pressured environment with larger crowds (i.e. public concerts). Joth shared that we need to be careful in focusing too much on our performance, which may hinder the Spirit from working. The trick is to be so skilled in our performance (meaning practice well beforehand) that we are able to flow with the Holy Spirit during the worship session. Joth shared that many western churches focus on fame, whereby they would hire professional musicians to play. 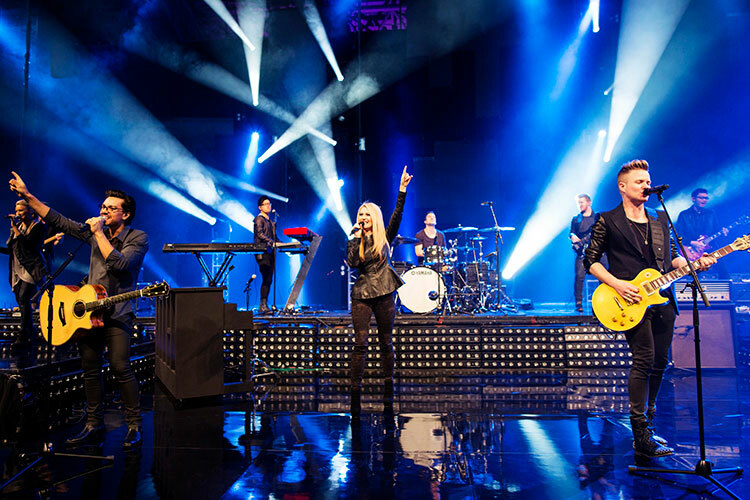 But in Planetshakers, though containing elements of entertainment, their main focus is to worship God. A congregation should be led to be participants and not spectators. Joth shared that God would use different keys to unlock different doors. He would use natural things to do spiritual breakthroughs. Who knows? A drummer could be spiritually smashing the dark forces with his drumsticks, thus changing the atmosphere. Simply said, God would use anything to bring Him glory. It’s the heart of the guitarist or drummer that matters. Joth shared that feeling tired is natural although our Spirit is not tired. But he believed that the Spirit can command our body to strengthen itself. He shared how he freshened up himself for a meeting when he asked the Holy Spirit to strengthen his body. Joth shared that the secret lies in having a music director. The director is generally the most skilled person in the band who can lead the whole band to play together. Although these moments are uncomfortable, playing in sync with the music director for an unknown song teaches the band to flow. However, if nobody in the band knows the song, a polite decline would do. Joth encouraged every musician to compose a song by getting together with like-minded people to put the chords into the melody and lyrics. Planetshakers has always been crafting their songs around what Pr Russell preached in the church. Joth shared that many bands have a problem with maintaining harmony. Even if there were one person who has a bad heart, the band would have disunity. Communication is key to remove diva spirits or rocks star spirits in the band. The Word This Week – FAITH IS NOT THE ABSENCE OF FEAR BUT KNOWING WHO YOUR GOD IS!